16th edition of Marine Life monthly post. Marine Life post published every 19th of the month. 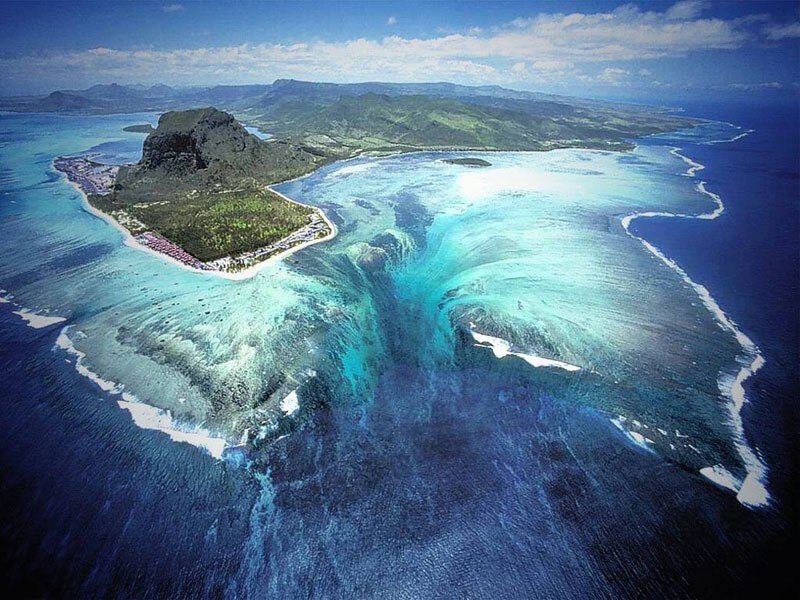 It aims to share information on specific marine life species and to promote their conservation. All images are taken by Indah Susanti unless stated otherwise. I was not aware that there are several species of sea urchin until our diving holiday in Ambon (Maluku, Indonesia) last year. Do forgive my ignorance on this species, but mostly the sea urchins were not colorful (read: ugly), and their long spines made them, even more, difficult to observe or even to took their pictures. However in Ambon, we saw different species of sea urchin with striking colors. They were everywhere on the seabed and lived as a group. Their spines were shorter than the common sea urchin, and they have colorful round body with the star shape on the top. 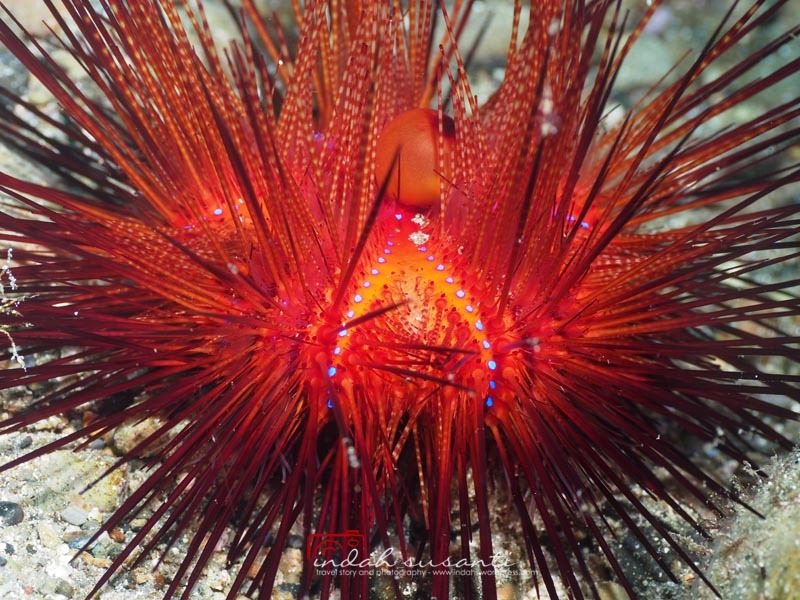 The sea urchin species that we spotted in Ambon known as Fire Sea Urchin (Astropyga radiate). Some said their venom were deadly to humans, but some said the venoms were stingy and painful. Either way, I did not bother to check how their venom work. What makes the urchin is, even more, interesting; there are marine critters lives on its body and depending their lives on the urchin. It appears the urchin is home to several marine species who can handle its poison. I found three species living on top of the Fire Sea Urchin and they are equally beautiful to their host: Coleman shrimps (Periclimenes colemani); Zebra crab (Zebrida adamsii) and Urchin shrimps (Allopontonia brockii). If you wonder, the bigger Coleman shrimp as pictured here is the female. Unfortunately, the Urchin shrimp was too shy; he moved faster than my shutter click! Maybe next time we will meet again. Vivid, striking post. I wonder if the roe is edible. What few sea urchin roe I’ve tried has such a scrumptious, bayside tidal funk flavor…Low tide for the taste buds. Not for everyone, I suppose. Thanks for liking my recent blog post, though! https://sidedishesblog.wordpress.com/ – keep in touch and feel free to follow for travelogues and recipes!!! your photos are beautiful. Congratulations!